Turn on SSL and HTTP/2 for all your websites at one click with Plesk Security AdvisorAre all your websites secure? Did you know that Google penalizes HTTP only sites in their Search Index? Today, HTTPS is a must-have for every website – whether you’re running an ecommerce business or a travel blog based on WordPress. On top of that, usage of HTTP/2, the next version of the HTTP protocol, is growing fast. Did you know that by switching on HTTP/2 for your websites you can achieve up to 10% better page-response-times? Performance in the web is key – or how long you wait for a website to load. 40% of website visitors abandon a site if takes longer than 3 seconds to load. Amazon even reported 1% loss in revenue per 100ms site load delay.Performance matters! But Security matters even more! An estimated 37,000 websites are hacked every day. You don’t want to be one of these! To protect your websites and webapps, we created the Plesk Security Advisor for you – a simple extension for Plesk that allows you to secure all your websites with SSL at one single click. Additionally, this extension lets you activate HTTP/2 for more performance for all your sites. We also take care of your existing WordPress sites. You probably know that switching WordPress sites to HTTPS requires updates in the WordPress database. The Plesk Security Advisor does this for you automatically – if you wish. Since Security starts with Transparency about your vulnerabilities, Plesk Security Advisor offers you to enable Datagrid Vulnerability Scanner (either free version or PRO) with just another click. This extension scans your server frequently for vulnerabilities based on the centrally known CVE database and shows all issues of your server to you. With the upcoming Plesk release – Plesk Onyx – you will even be able to directly update all outdated software that has patches for critical issues available. The Plesk Security Advisor is free and helps you to keep your websites and web apps safe. 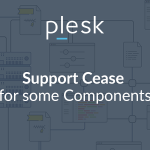 from our Extension Catalog of your Plesk Panel now and stay secure! Jan Löffler is CTO of Plesk and is responsible for driving technical innovation, developing Plesk roadmaps and leading all aspects of the company‘s technology strategy and vision. Currently this extension also checks all disabled sites. It should have a check on domains.status=0. Could you provide more details about steps to reproduce the issue? Is there any plans for this to come to Windows Version of Plesk? Hi everybody, is there any way to turn off http2 once it’s been activated?